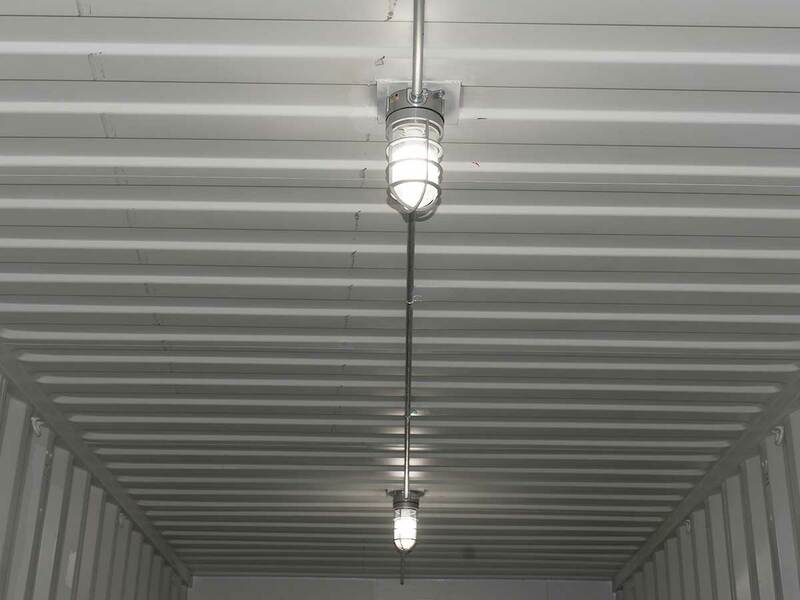 Interport offers a wide selection of custom shipping container lighting and electrical modifications to meet your needs. Want to run power tools, an AC, or your own lights in your shipping container receptacle? Interport can install a panel box with an outside connection and configure your shipping container’s electrical system to meet your specifications. Depending on your electrical needs, we can install single-phase (110V or 220V) or 3-phase (440V) power.